The BRAIN gray matter CIVIL WAR fought between 1861 and 1865.
called the "War Between the States"
called the "War Between the States of MIND"
Let's look at the key signal .... the biochemistry systems message about the true NATURE of the war expression. These were uniforms procured either locally or nationally, with the Confederate Government agreeing to reimburse the cost. Many uniforms were issued by State .. Inside the soldiers BRAIN..... a gray uniform of thought ..
Why Is Gray Matter Gray? packed with billions of neurons. It has the "mushy consistency of cooked oatmeal," writes Czerner. The continuous adjustment of internal relations to external relations. The new, freshly pressed gray uniform frock coat that Gen. Robert E. Lee wore when he surrendered to Gen. Ulysses S. Grant on April 9, 1865, at Appomattox Court House, Va., has been on display at the Museum of the Confederacy in Richmond, Va. Soon, the coat, along with the sword Lee wore that historic day and the pen he used to sign the surrender, which effectively ended the Civil War, will return to Appomattox. brown fabric, with a six to nine button front. 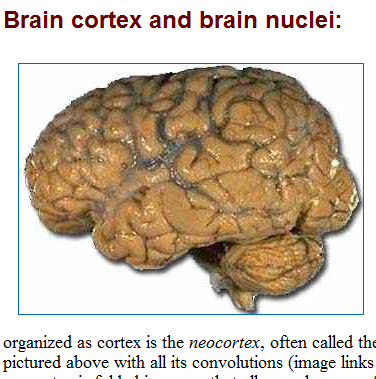 The design of the brain section that is brown .... had an EXTERNAL display of a brown cotton fabric uniform. Image: Uniform coat of Capt. T. Otis Baker of the 10th Mississippi Infantry which fought in the Battle of Shiloh. had an INTERNAL display of a brown fabric .... and the fabric of fabrication stories and fabrication explanations of REALITY. the hills, valleys, mountains ...of Kentucky, Tennessee, northern Georgia, etc .... reflect /are a mirror of the INTERNAL convolutions war . Yet these more committed Civil War enthusiasts often do no more themselves ... eye for terrain and see the ground as Civil War commanders would have seen it. ..... placed their troops at the very top of a ridge or hill (the "geographical crest"). Civil War, the Battle of Lookout Mountain, the fabled "Battle Above the Clouds"
by CS Hendrix - 2011 -Dec 19, 2011 – This article expands on the conventional discourse relating rough terrain – mountainous terrain and noncontiguous territory – to civil war onset. What is the INTERNAL convolutions war? Most likely the symbolic wars of languages and the misuse of the English language ...... for manipulation. The key signal ...were the various debates of that time period ...in the many years before the CIVIL WAR. The Webster–Hayne debate was a famous debate in the United States ... Massachusetts Senator Daniel Webster's "Second Reply" to South Carolina ... going back to topics that had agitated the country before the Constitution was formed. The debate cemented the image of Daniel Webster, as a legendary defender of ... i.e. the interpretation of the Constitution as a pact between soverign states; such .... with Shakespearean allusions, and quotations from famous English orators. Thus the gray matter ...the brain and its thoughts ...and the Constitution of the United States of MIND.